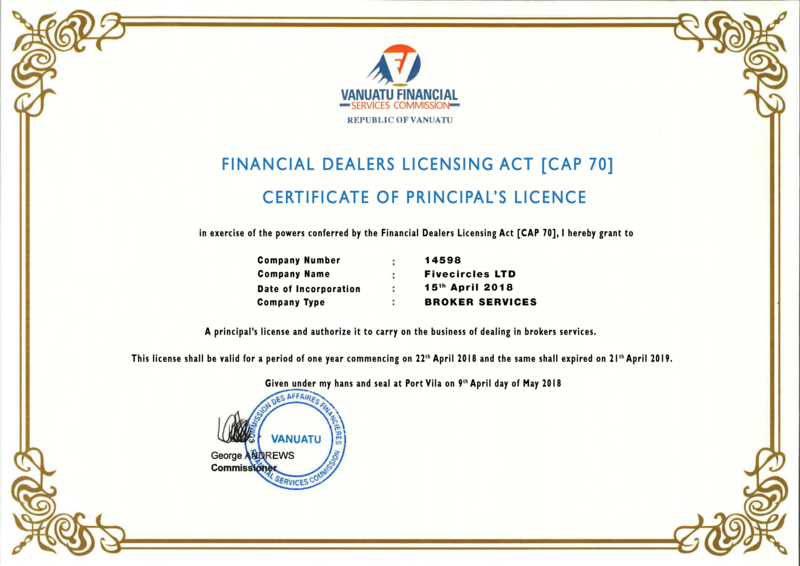 Licenced investment company regulated by the Vanuatu Commission for Financial Services with Permit No. 17921. FGMarkets is an authorised provider of investment and supplementary services concerning financial instruments. Personal contact is always the best approach, therefore we never attempt to avoid face-to-face meetings or telephone conversations. What more, you will be always dealing with the same FGMarkets employee who will be fully acquainted with your requirements and who will be as best as possible informed about your matters.